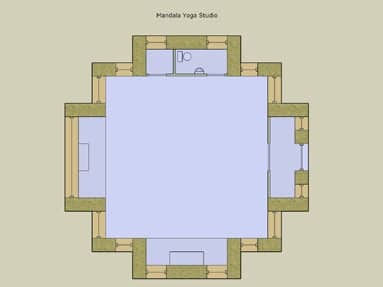 Mandala Yoga Studio – Concept design for nirvana! 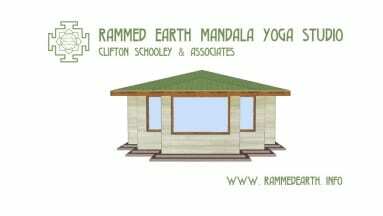 With yoga being so popular, where are all the environmental yoga studios? 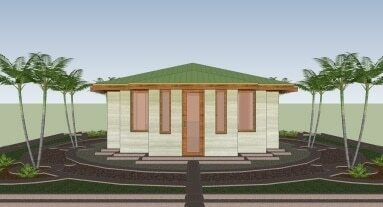 We don’t know, so we designed this one made with energy efficient insulated rammed earth walls so people can breathe clean air when they inhale deeply. 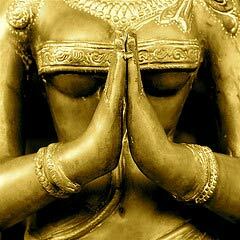 Also the quality and vibration of the materials that surround us effect us, so we say use the best! 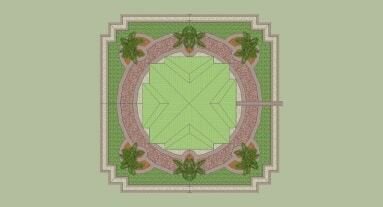 We used a mandala as the basis for the floor plan with the building oriented and laid out in the most auspicious way. 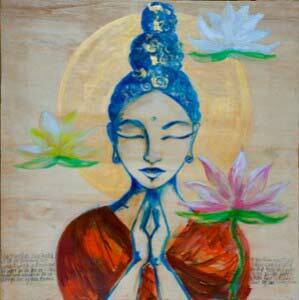 Some beautiful art to set the mood. 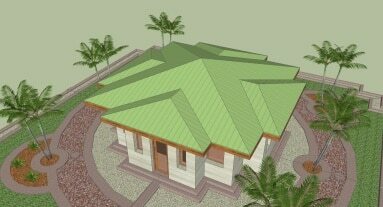 A top view of the yoga studio landscaping. A big window to be inspired by the beautiful view. The roof has interesting geometry due to the roof line following the wall layout. Entrance from the east, very good energetically. The entrance door is pretty plain right now but we see a door that is a work of art with a stained glass mandala on it and some artistic woodwork. The floor plan – The studio comfortably hold 15 students and the teacher. To the right is the entrance with room for jackets and shoes to be stored. 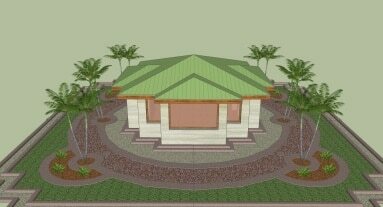 To the left side of the floor plan is a table with art or altar that is viewed as soon as a person walks into the room. Top – 2 piece washroom and closet. Bottom – storage space for props. With 15 windows plus the door, the whole space is filled with light. An added touch might be a big mandala painted on the ceiling. 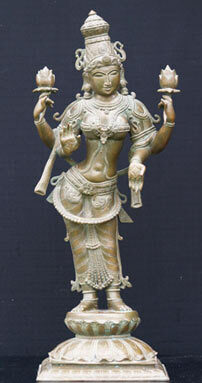 Lakshmi – The goddess of wealth in bronze would make for nice interior decor.